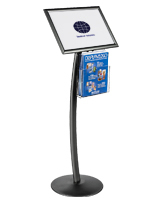 This 11” x 17” black sign stand with magazine pocket is an easy to use and easy to move display item. 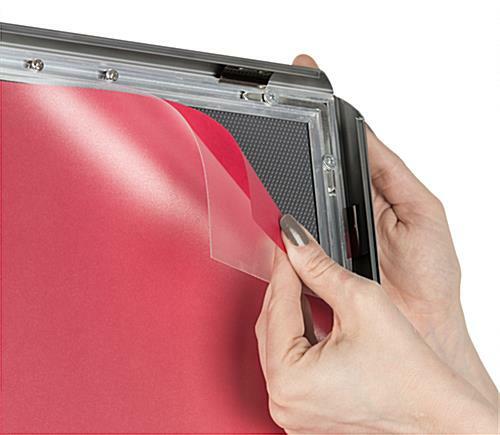 Snap open the frame to change out your graphics swiftly and with minimal effort. 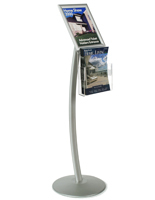 Each aluminum sign stand features an acrylic literature holder, offering more opportunities to promote your products and services. 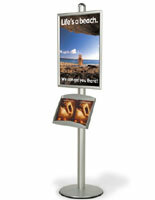 Snap open the frame and pair your brochures with your poster for best results. 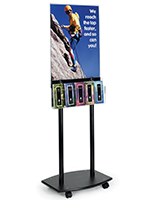 Featuring a PVC lens, this sign stand eliminates glare and protects your poster from the elements. 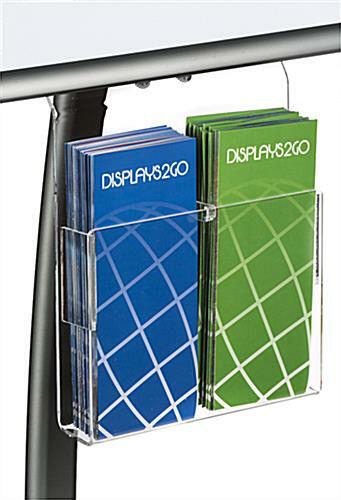 For added versatility, you can remove the divider inside the acrylic literature holder to display 8.5” x 11” catalogs instead of two sets of 4” x 9” flyers. 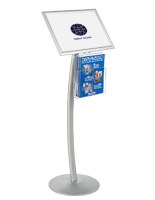 14.0" x 49.3" x 15.0"
This sign stand was a great addition to our in-house marketing! 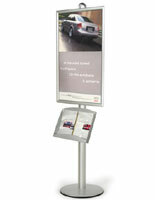 It is so easy to change posted materials, which we do about once a week. It also looks great! Thanks, Kim! When you're changing out your postings on a weekly basis, it's definitely important to have signage that's easily accessible like these snap-open frames. 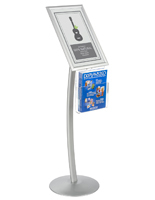 We're glad that this sign stand proved to be an excellent solution for your in-house marketing, and we hope you'll continue to turn to Displays2go for your business's display needs. Thanks again! 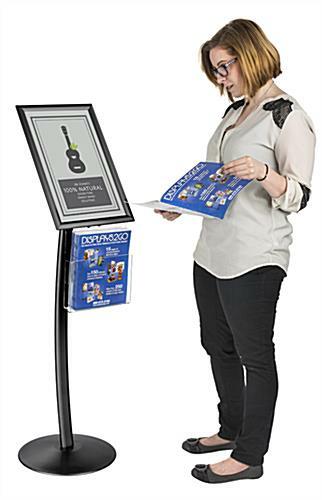 Actual product is true to picture but a little shorter than I thought it would be. Instructions included in packaging were not clear, had to download pdf from product description website to clarify some questions with assembly. 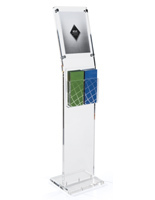 Quick easy ordering process and quick shipping.